Gorleston On Sea, Norfolk. 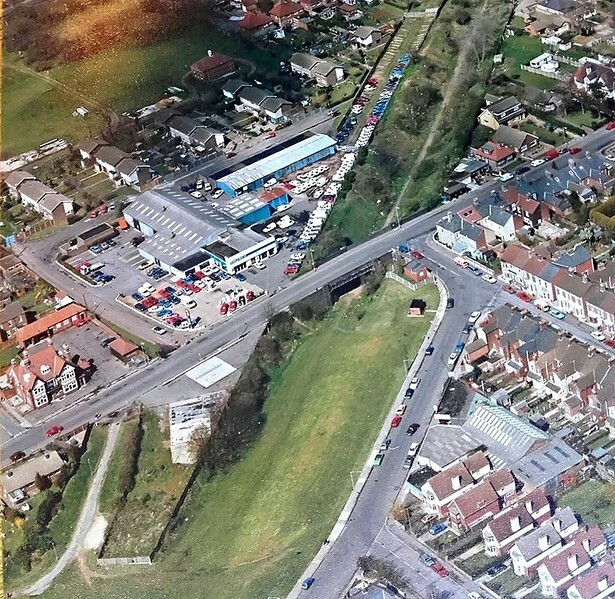 A nice aerial shot of the station area probably taken in the mid eighties. The view is facing north towards Great Yarmouth. Lowestoft Road over bridge (No 2438) is in the middle of the picture. On Lowestoft Road to the left, the double fronted building which was the former Station Hotel overlooks what was the station area. Image with kind permission of David Batterbee.